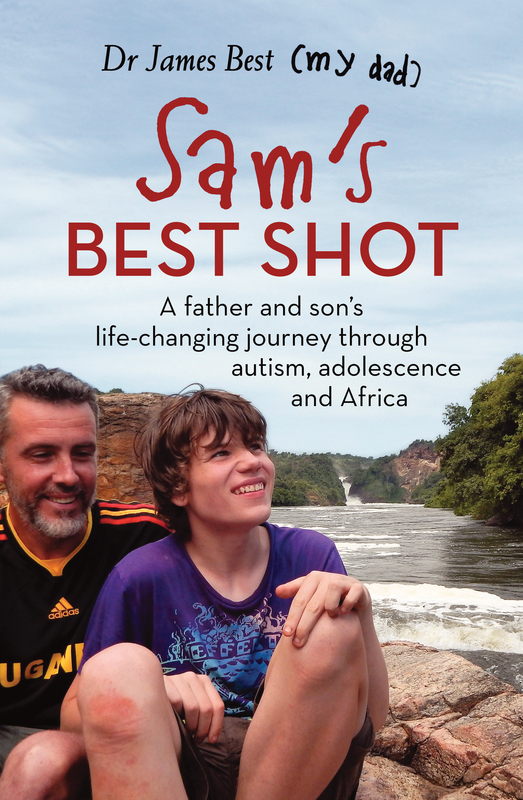 A father and son's life-changing journey through Autism, adolescence and Africa. Inspiring, entertaining and a beacon of hope for those touched by autism. Life with a teenage boy on the autism spectrum has its challenges. Fourteen-year-old Sam is a world authority on Harry Potter but can't get to the corner store on his own. Sam's parents Dr James Best and Benison O'Reilly decide to think radically to help their son. They sell the family home to finance a six-month-long trip to Africa for James and Sam, in the hope that it will have far-reaching and life-changing results for Sam. Their plan is to take Sam a long way out of his comfort zone, so that he has to face new challenges and learn to navigate the completely unexpected - and that the exposure of all of these new experiences will help Sam grow emotionally and conversationally to achieve what he hasn't been able to in a familiar environment. The results were extraordinary and will give hope to many families dealing with autism. Sam's Best Shot is the moving and inspiring account of the amazing journey James and Sam took through the teeming cities and stunning landscapes of ten African countries - nerve-wracking and hugely challenging, but also transformative, fulfilling and entertaining. This is a father and son story like no other. Dr James Best was born and raised in Sydney, where he has worked as a general practitioner for twenty years. He has spent many years heavily involved in teaching medical students at the University of Sydney and University of NSW and also training the next generation of GPs. In 2010 he was awarded the prestigious RACGP General Practice Supervisor of the Year Award in recognition for his outstanding work as a GP and educator. He is a regular presenter to other GPs and doctors in education forums, including forums on children's medicine, with a particular focus on children with disabilities. He has presented at international scientific conferences on autism, as well as co-authoring guidelines for other GPs on how to screen for, diagnose and manage children with autism. Dr Best's articles have been published in Australian Doctor, The Medical Journal of Australia, and The Sydney Morning Herald. He also regularly presents to the public on issues regarding children with disabilities, including appearances on morning TV. He currently lives in Sydney with his wife and three sons.